The Bristol Bay Sockeye Salmon run set a record in 2018, and retailers across the country participated in promoting it. The salmon branding program first was developed by the Bristol Bay Regional Seafood Development Association (BBRSDA) in 2016 in Boulder, Colorado, before being launched nationwide in 2017. In 2018, the salmon was promoted in more than 1,000 stores. The marketing program theme is “Wild Taste from an Amazing Place.” Digital assets, point-of-sale materials and promotional support highlight Bristol Bay Sockeye Salmon’s red flesh and great taste, against a backdrop of stunning vistas and the Alaskan fishermen who bring in the harvest each year, according to BBRSDA. Pavilions stores in Southern California promoted Bristol Bay Sockeye Salmon during October, National Seafood Month, to great success, BBRSDA reported, with sales posting an 81 percent increase over refreshed sockeye sales for the same period in 2017. Bristol Bay Sockeye Salmon transaction counts (within the service seafood category) represented 3 percent of the overall service seafood transaction for the month, which is significant for a new item that was introduced while fresh salmon was still an available option to the consumer, according to the association. This was part of a tie-in promotion with Alaska Seafood Marketing Institute, promoting a dedicated Alaska section of the seafood case during October. “Our stores loved the promotion. 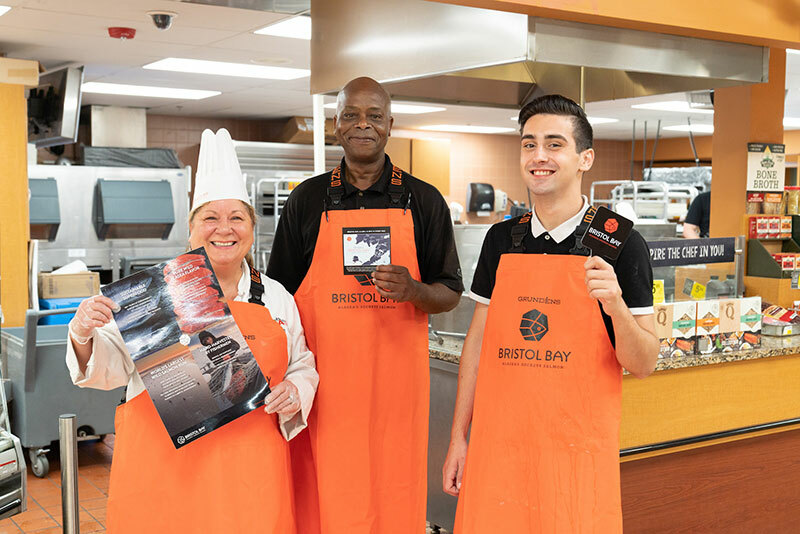 Bristol Bay has a very strong brand that messages really well with our clientele, who are more tapped into social responsibility and sustainability than ever before. Bristol Bay has beautiful point-of-sale and branding that aligns with those sensibilities,” said Josh Dooley, QFC meat and seafood manager. All 63 QFC stores promoted Bristol Bay Sockeye Salmon both during the summer fresh season and in November. In December, Midwest retailer Hy-Vee promoted Bristol Bay Sockeye Salmon with product demos and point-of-sale materials in more than 200 stores. Two custom social media ads were developed featuring Bristol Bay photography and video assets with custom animation and Hy-Vee branding. 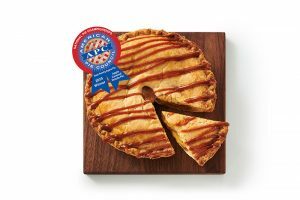 The ads reached more than 67,000 likely seafood consumers in Hy-Vee’s major markets. Also during the promotion, Bristol Bay sockeye salmon fishermen visited area stores to further promote the Bristol Bay fishery. Many retail promotions for Bristol Bay Sockeye Salmon are planned for 2019, but BBRSDA is actively recruiting new retail and foodservice partners. Interested partners can contact BBRSDA at [email protected] to set up a meeting; BBRSDA also will be exhibiting at the Seafood Expo North America in Boston, March 18-20, at booth #3450.